Our News – Page 3 – Valerin Group, Inc.
Valerin’s Angel Gardner Wins Prestigious Award! 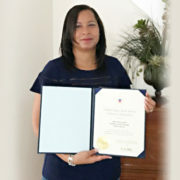 Valerin’s own Angel Gardner, who serves as community outreach specialist for the FDOT’s Southern Boulevard Bridges replacement project, was recently awarded a Certificate of Recognition by the United States Secret Service for providing outstanding communication in coordination of presidential visits to the area. Congratulations, Angel! https://www.valerin-group.com/wp-content/uploads/AngelGardner.jpg 396 633 Chuck Thompson https://www.valerin-group.com/wp-content/uploads/Valerin_Logo-Red-copy-300x86.png Chuck Thompson2018-01-03 02:35:192018-01-03 02:35:38Valerin's Angel Gardner Wins Prestigious Award! Valerin is Growing (And Again)! 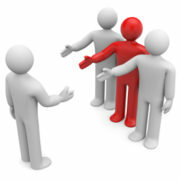 Valerin welcomes Tiffani Wilshire to the team! Tiffani is a passionate communications professional with both public and private sector experience. She is recognized for her ability to successfully promote client project goals and objectives, increasing public awareness through skillful communication, partnerships and connections. Tiffani’s public information, community outreach, and social media strategy experience spans over ten years, equipping her with a foundation for excellence. Her positive attitude, resourcefulness, initiative, and knack for creative collaboration make her a valuable tool for our team and our clients! Tiffani will serve Valerin as a community outreach specialist, primarily focusing on projects and initiatives in the Tampa Bay area, as well as Manatee and Sarasota counties. https://www.valerin-group.com/wp-content/uploads/employee.jpg 396 633 Chuck Thompson https://www.valerin-group.com/wp-content/uploads/Valerin_Logo-Red-copy-300x86.png Chuck Thompson2017-08-03 14:31:332017-11-02 19:43:37Valerin is Growing (And Again)! We are pleased to announce the addition of Cynthia McGrail to the Valerin team! Cynthia brings over 20 years of experience and leadership in the marketing and communications arena, having worked in both the public and private sectors. She has a solid track record of creating strategic marketing, communications, and outreach plans that drive maximum effectiveness and promote public engagement. Her expertise in the development and implementation of comprehensive, integrated marketing plans, which includes paid traditional and digital media, event sponsorship, public relations, and strategic partnerships, makes her a perfect fit. Cynthia will serve as public relations, communications and marketing specialist for Valerin as we move full steam ahead! https://www.valerin-group.com/wp-content/uploads/employee.jpg 396 633 Chuck Thompson https://www.valerin-group.com/wp-content/uploads/Valerin_Logo-Red-copy-300x86.png Chuck Thompson2017-07-28 14:25:222017-08-02 19:24:07Valerin is Growing (Again)! Valerin is excited to announce the latest addition to our team – Angel Streeter Gardner. Angel has served as a community outreach specialist on major construction projects and is an established communications professional with extensive knowledge and understanding of community outreach and public involvement. Throughout her career, she has developed and implemented community awareness plans, provided key support at public information meetings, and has served on public involvement teams throughout FDOT District Four. Having spent nearly a decade covering transportation in the South Florida region as a Palm Beach County transportation reporter for the Sun Sentinel, she is equipped with a firm understanding of transportation project development, planning, and implementation. Her experience working with numerous public-sector entities, to include municipalities, county governments, and regional planning organizations, has afforded her substantial experience in dealing with the public, special interest groups, civic organizations, and elected officials. Angel’s focus with Valerin will center around providing community outreach and business development in the Palm Beach/South Florida area and we are excited to welcome her aboard! https://www.valerin-group.com/wp-content/uploads/employee.jpg 396 633 Chuck Thompson https://www.valerin-group.com/wp-content/uploads/Valerin_Logo-Red-copy-300x86.png Chuck Thompson2017-07-28 14:24:292017-08-02 19:25:44Valerin is Growing! Valerin celebrates another big win, being re-selected by FDOT District Five to provide district-wide public involvement services under their Community Awareness Contract. Valerin has been providing services under this contract for the past three years and looks forward to the opportunity to serve FDOT for another three! © 2016 Copyright - Valerin Group, Inc.